While most students were vacationing during the summer and venturing off to distant lands, President Barack Obama exercised his executive order rights to sign a legislation that could save students with federal loan debt thousands of dollars over the years. Obama has added more reforms to federal loan repayment under the Pay As You Earn (PAYE) program that started in 2011. The payment cap has been lowered to 20 years and 10 percent of the student’s income.After 20 years has passed, the remaining debt is forgiven. For communications major Noah Ayele, the PAYE program only makes it easier for him and his peers to get through school. The bill, drafted by Sen. Elizabeth Warren, now allows students to pay off their loans at a lower interest. Ayele has taken out a $3,500 loan for the school year, which will help him pay for his housing and books. He hopes to get a decent paying job after school to pay back the debt. And Ayele isn’t the only Matador to have pulled out loans. Last year, 43 percent of CSUN students received loans from financial aid, while 54 percent were benefitting off of federal grants. More than 1,500 students received loans and racked up more than $300 million in financial aid. About $134 million were attributed to loans. 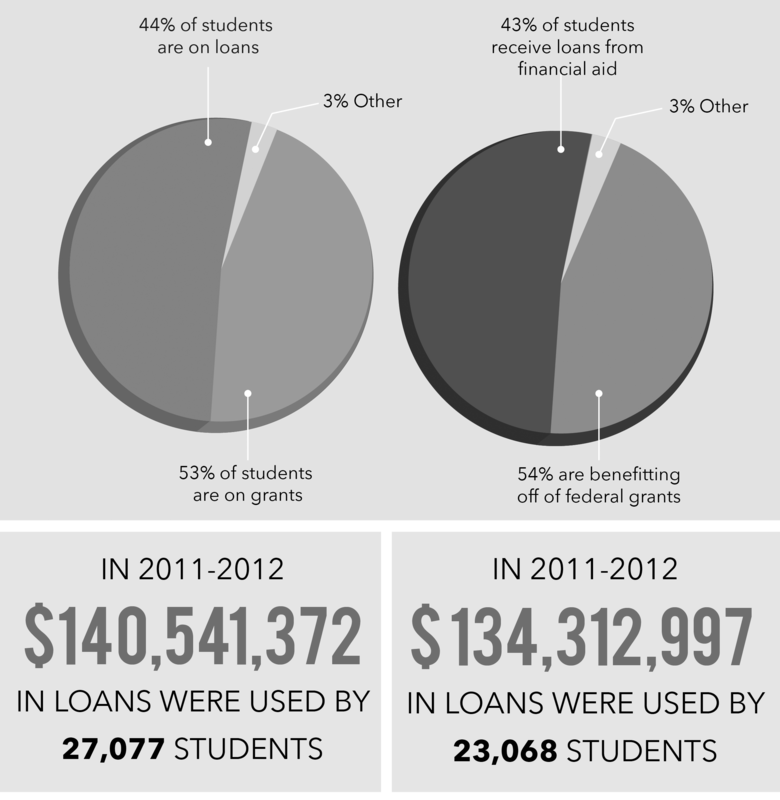 Compare that to the 2011-2012 school year — 44 percent of students were on loan and 53 percent were on grants. Last year, CSUN had over seven thousand recipients eligible for financial aid loans. The school provided over eight thousand loans worth about $30 million. The school provided nearly 15,000 disbursements, or loans provided over two semesters. In comparison to other California State Universities, only Long Beach has provided more funds. The school handed out about 8,600 loans to over 8,000 students, equaling about $34 million. Only California State University, Sacramento was close to matching CSUN’s numbers, with nearly 7,300 recipients and nearly 8,000 loans, or about $32 million. California State Universities, LA and Dominguez Hills, had the fewest, with around 3,000 recipients and loans each. With so many students benefitting off of loans, CSUN Director of Financial Aid Lili Vidal says students should be cautious with borrowing money. “Students would still need to be careful to borrow for only what they need to complete their education and not for a lifestyle they want before they graduate,” Vidal said. Vidal is optimistic about the PAYE program for students and hopes the plan helps them reconsider about dropping out of school. “I believe that Mr. Obama’s intent is that every borrower would benefit from the PAYE directive by providing payment relief that would allow borrowers the ability to lead a decent lifestyle and to invest in the economy through consumerism and home ownership,” she said. The PAYE plan is only eligible for students who have taken out direct loans. Federal Stafford loans are given to all students the U.S. Department of Education provides the funds for students, but the school regulates how much is provided. Subsidized loans are given to students who are in need for school money. But for unsubsidized loans, there are no requirements to demonstrate need for aid and students will have to pay back the loans right away over a period of time. Students can delay payment for subsidized loans. 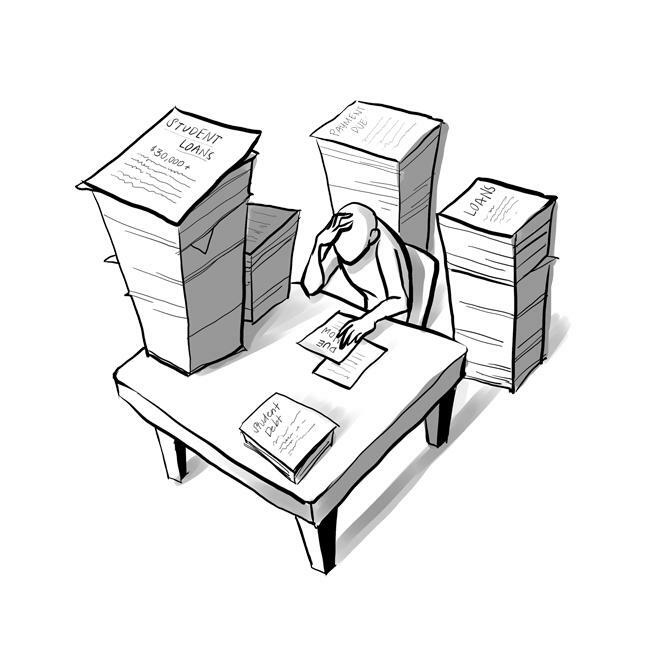 Unsubsidized loans are accumulated and capitalized overtime if they are delayed. Direct PLUS loans, which are provided for graduate students and undergraduate dependent on their parents, are provided by the U.S. Department of Education. Perkins loans are given by the school to either undergraduate or graduate students. Perkins loans and other loans will not qualify for the program. PAYE only applies to students under federal Stafford loans and direct PLUS loans. Students are also ineligible if they have borrowed money before October 2007 or have not borrowed money since October 2011. “If students are persuaded that their debt payments will be manageable they may be more willing to invest in their education,” Vidal said. The bill will take full effect in December 2015.